When you arrive at the clinic the first smile you will see is that of Lillian Mendez. She is our front office manager. You will love her warmth and charm. Her attention to detail with regards to your needs at the clinic are exceptional and caring. She comes to us with a varied level of experience. 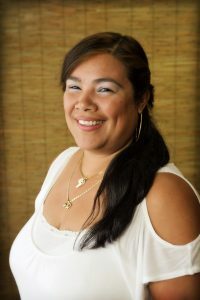 Born in Puerto Rico, she provides our varied clientele bi-lingual service. She will schedule for all your needs at the clinic in a personable and thorough manner. Lillian and her family have lived in Key West for many years and she is active in supporting her sons in their school activities and sporting events. She can be found many evenings at the local ball field cheering on E.J. Ask her about her grandchildren and her eyes will sparkle! Lillian is dedicated to making your experience at the Clinic a pleasant one. She has a deep passion for providing excellent customer service!